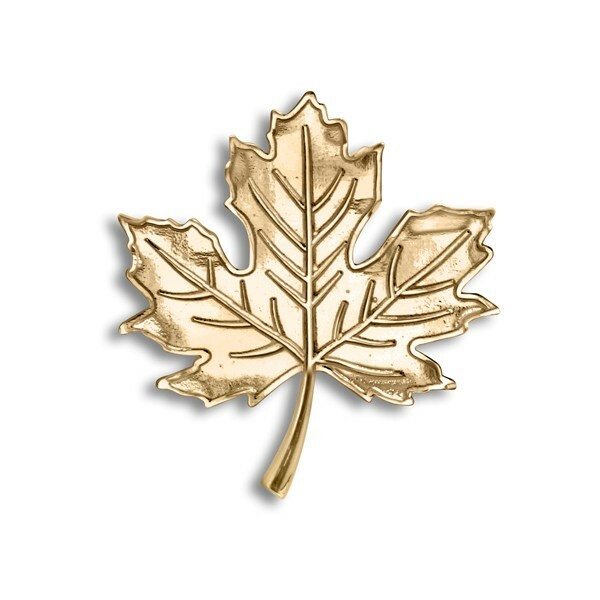 This handmade maple leaf brooch is a lovely way to show Canadian pride on a jacket or sweater. It measures approximately 45 mm tall from tip to stem, and is approximately 43 mm wide, and can be custom made for you through the web in sterling silver or 14K gold. 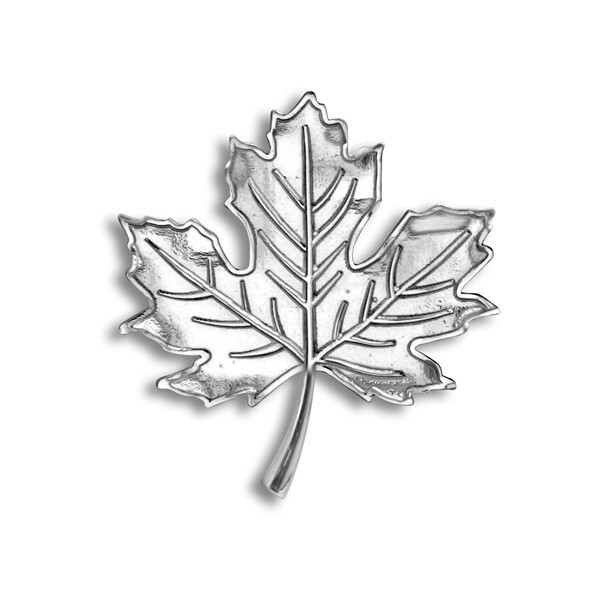 We also provide custom quotes in platinum and other metals with or without gemstones by email.